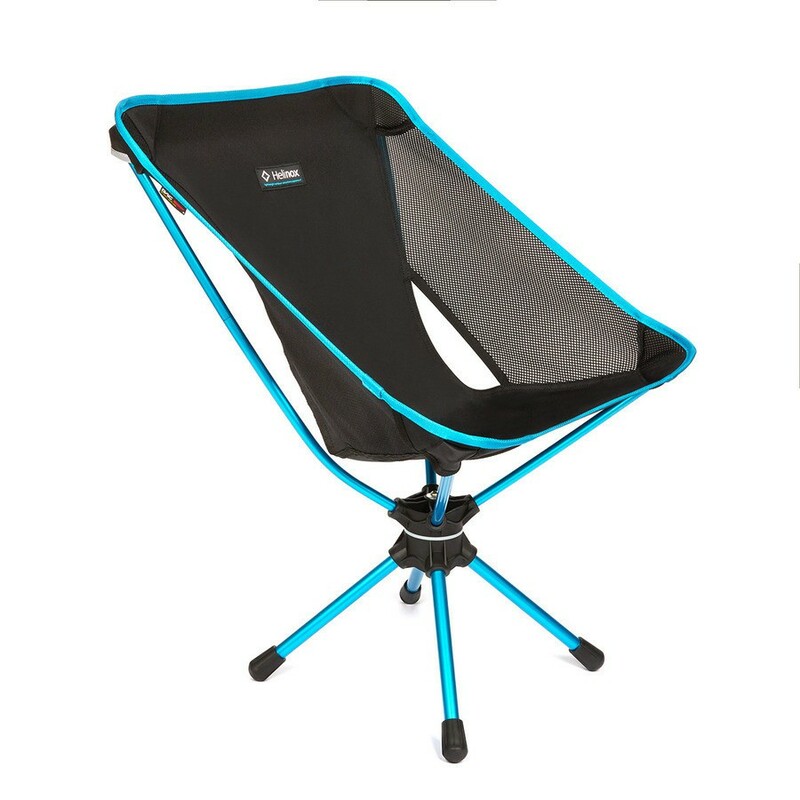 Llightweight, super strong, incredibly compact, simple, reliable and wonderfully comfortable. 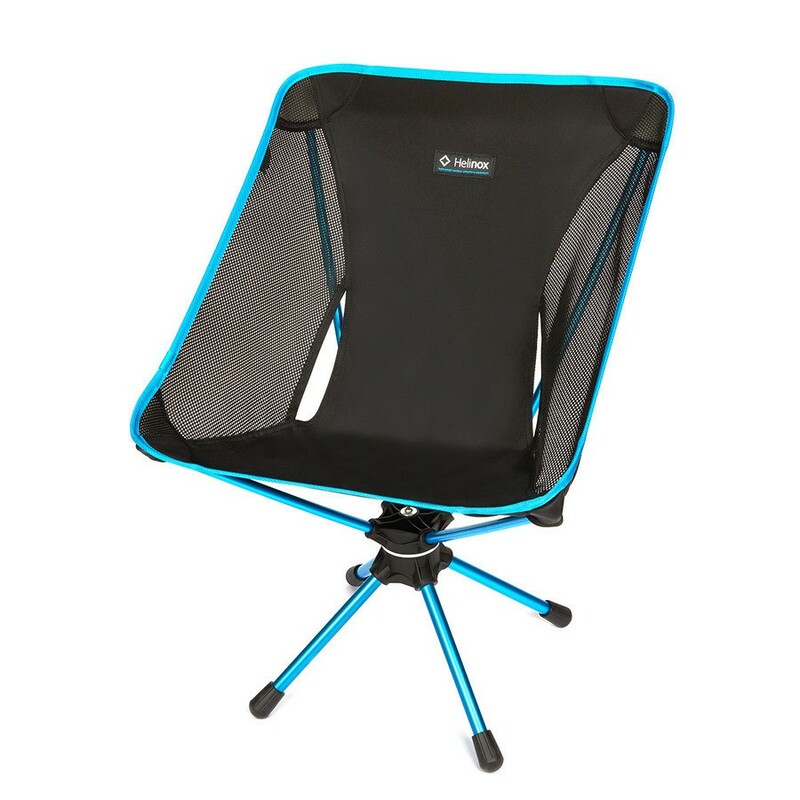 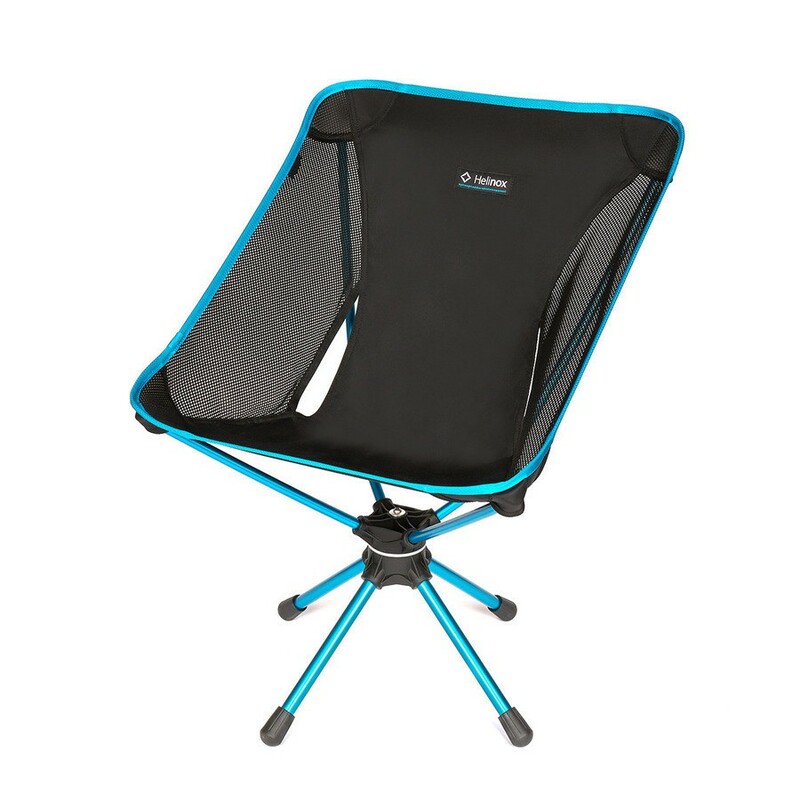 Enjoy the lightweight, simple design of a comfortable Helinox chair but with a seat that swivels. 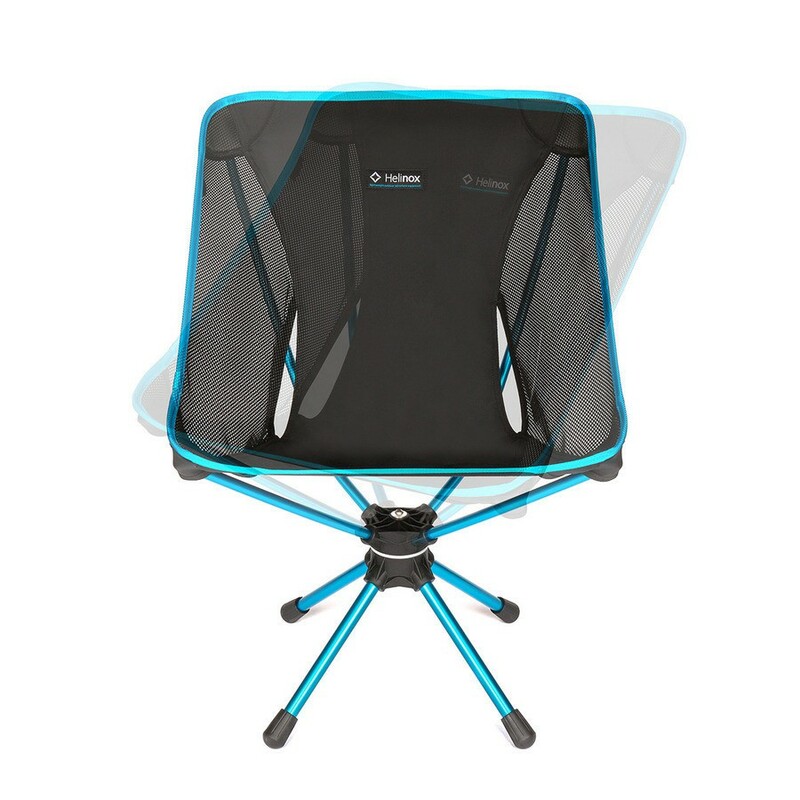 Imagine fishing, roasting marshmallows, watching shooting stars streak across the sky with the convenience of a rotating chair. 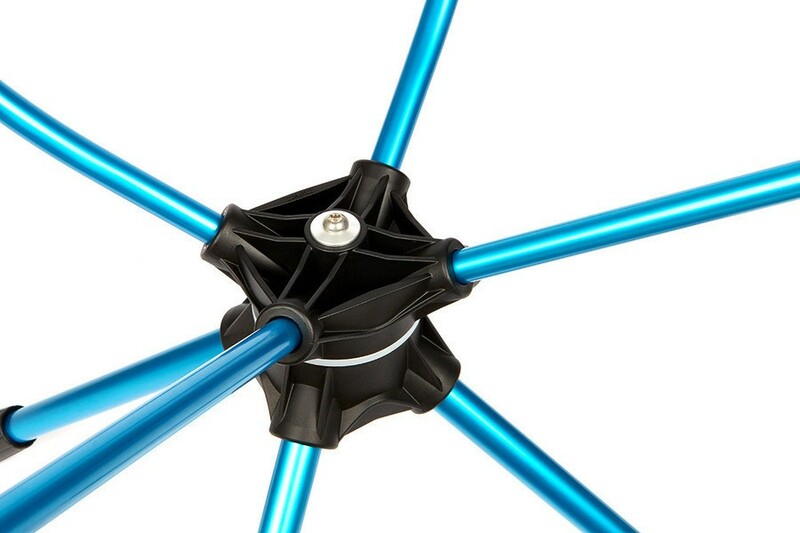 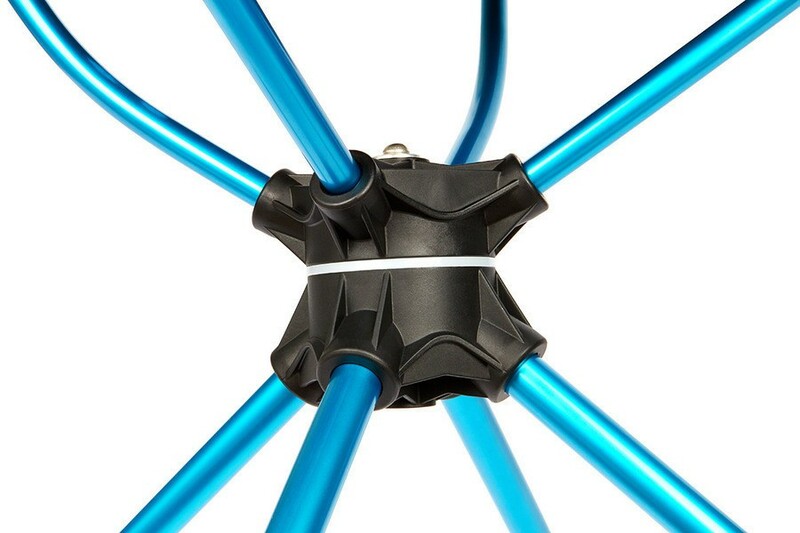 Mesh sides keep you cool and the single shock cord pole design makes set up quick and easy. 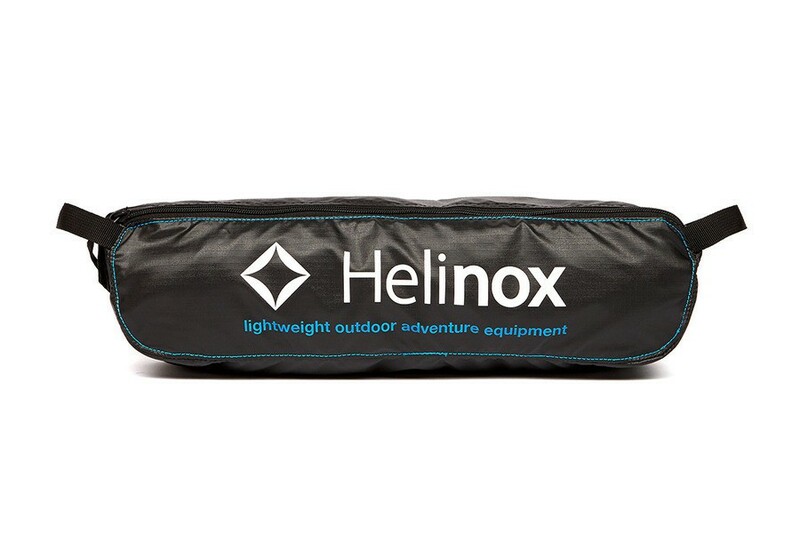 Storage sack included.